I peer into the depths of a black tarp, loosely stapled across a makeshift wall. There is a constant hustle of people shuffling past as they rush to cobble together a haunted house for this elementary school carnival within 24 hours. By my side is David Johnson, a great neighborhood friend. I’d invited him to help paint this mural because I envy his casual confidence when we collaborate on our knock-off Garfield comic strips. We stand transfixed, staring into the endless void of black as the heavy, plastic scent of the tarp fills the air. In the background, the creepy noises from a sound effects album swirl around us as a plaintive dog howls in the distance, glass breaks and a wind storm pushes past. I abruptly pull a comic book out of a manila envelope to use as a source, then grab a medium-sized paint brush, open a quart of dark purple latex paint and start roughly painting the outlines of a huge swamp monster emerging from the black screen. 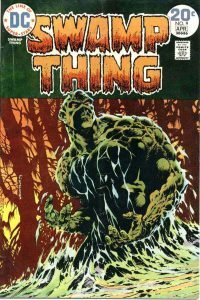 This is the creature known as Swamp Thing. David opens a bright green quart of paint and begins filling in the forms of the monster. It is 1980 in Texas, only a few days before Halloween and I am 12 years old. 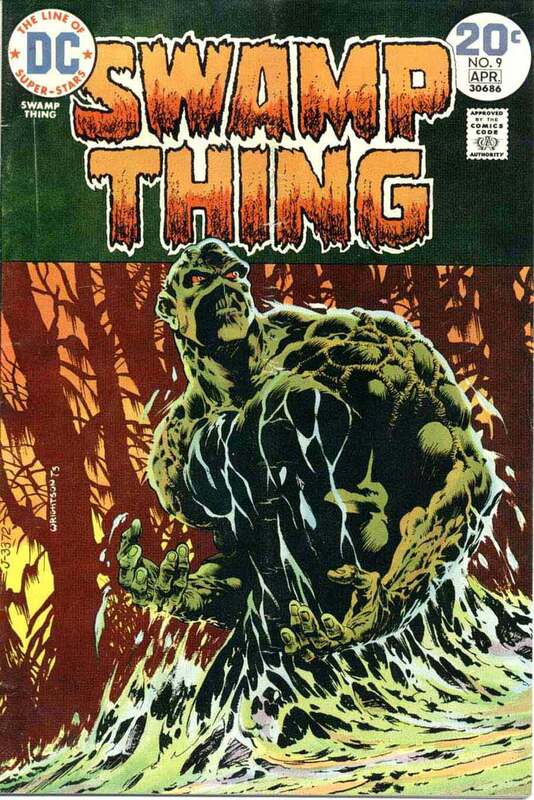 Bernie Wrightson’s cover to Swamp Thing #9, from 1974.